Diamante poem is a style of poetry that is composed of seven lines. The beginning and ending lines are the shortest whereas the middle lines are longer. This gives the text a diamond shape. In fact, the name diamante refers to the diamond shape of the poem.This poetic form was created by an American poet named Iris Tiedt in A New Poetry Form: The Diamante in 1969. There are two forms of diamantes: the synonym diamante and antonym diamante. There are few simple rules to follow in a diamante poem. You need to follow these rules to create a beautiful diamante poem. A diamante poem always consists of seven lines. The 1st and 7th lines contain one word. The 2nd and 6th lines contain two words. The 3rd and 5th lines contain three words. The 4th line contains 4 words. The synonym diamante is very much like the cinquain poem. 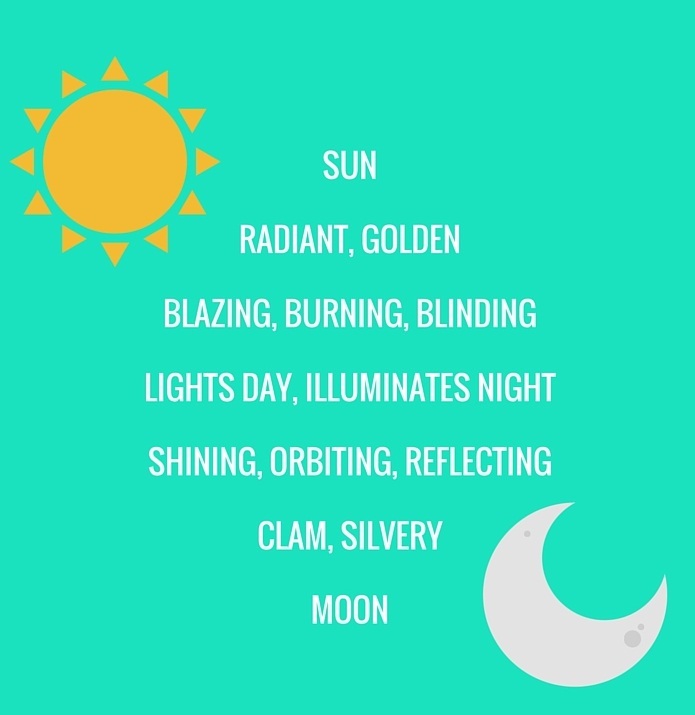 In this type of poetry, the first noun and the last noun are related; they can be synonyms, or the first noun can be a category of the last noun. In antonym diamante, this structure changes. Here the first and last words are antonyms such as day and night, black and white, etc. The first part of the poem should describe the first noun and the latter part describes the last noun. The content of the poem should be as given below. The red words should be about the 1st noun. The blue words should describe the last noun. However, some diamante poems follow a slightly different structure.